I have been wanting to tell you something since I had lunch at Whole Foods on Saturday. Worth every penny by the way. Don’t ask me what was in the box – I get all scoop-happy when I see my favorite roasted anything and just pile it all on into the brown box. OK so back to what I wanted to tell you. More like admit to. When I stopped to get the utensils and napkins at Whole Foods in order to eat my Food Bar fun, I saw the packets of ketchup and mustard and couldn’t resist a handful. To take home. I have reached “old” status haven’t I. This is what old people do. 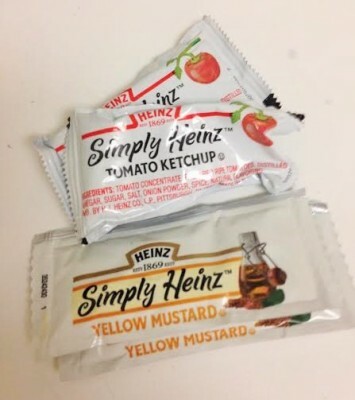 But come on, how do you not take some packets home with you when they are of the “Simply Heinz” kind? It would be against healthy living blogger code to resist a natural and healthy freebie. Now that it’s off my chest, let’s discuss my Whole Foods haul. I really don’t buy groceries at Whole Foods on a regular basis. For the most part, as we all know, they are a bit pricey. But, you can achieve a decent deal on a few items if you look hard enough and/or seek out their 365 brand. Roasted Vegetable Tomato Sauce – have never tried it but it was super cheap. I was super lucky to get the Bell and Evan’s Chicken Nuggets on sale. I have been buying them FOR YEARS. All natural, antibiotic free and the best tasting chicken nugget out there – more chicken than breading with awesome flavor and texture. Not that I eat I them anymore or anything but when I used to eat chicken, you can bet I would make enough for me when I made them for my son. As you can also see, I restocked my steel-cut oat supply from the bulk-ins. You can’t beat the bulk-bin prices. 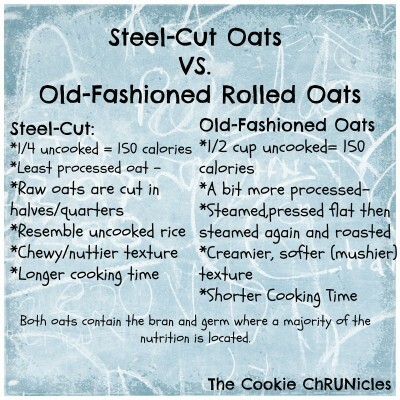 I go through phases with which oats I prefer but if I had to pick – Steel-Cut all the way. I love the chewy, dense texture and how well they hold up in the refrigerator – they reheat days later as if you just made a fresh pot. I always cook 3-4 servings at a time so that I have a few bowls on hand for the week. 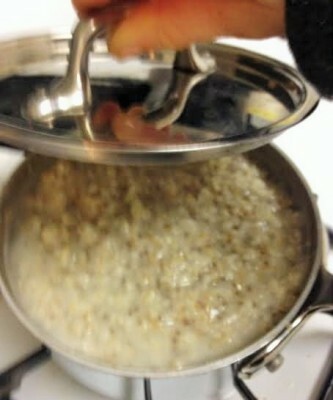 Quick tip: The more servings you make, the more oatmeal you end up with per serving. Lately I combine servings of both steel-cut and old-fashioned oats together for a mix of textures. If you spot orange peeking out of the bowl, it isn’t sweet potato this time. Fooled you. It is actually diced cantaloupe. 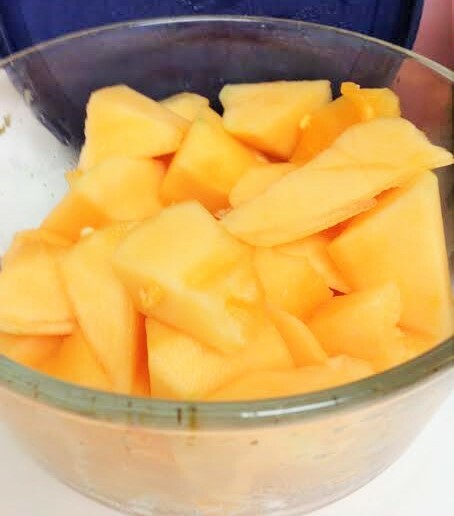 It isn’t exactly melon season right now but the little boy and I were in Trader Joe’s the other day and he requested melon. Cantaloupe plus a Galia melon which is a cross between a honey-dew and cantaloupe. I love that my child requested a melon, let alone a funky named melon. He may not eat his vegetables too often but the fact that he asks and likes fruit says something. 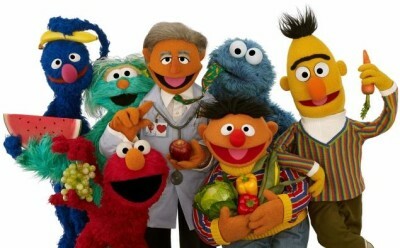 Did you hear about the new Dr. Ruster muppet coming to Sesame Street? The new muppet and episodes are part of Sesame Street’s “healthy” makeover looking to expand our children’s’ horizons when it comes to a healthy, balanced diet. They are focusing on more fruits and vegetables versus Cookie Monster’s cookies. I read this article the other day which discusses the new Sesame Street project although really, I remember watching several healthy food segments and videos (do they still sell “videos”?) when my son was a baby. Ernie, Bert, Prairie Dawn and the gang would sing “b-r-o-c-c-o-l-i broccoli broccoli” so often that I would have it trapped in my head for days. I guess that’s the point, right? Not only for our kids to sing about broccoli but inevitably for us adults as well. 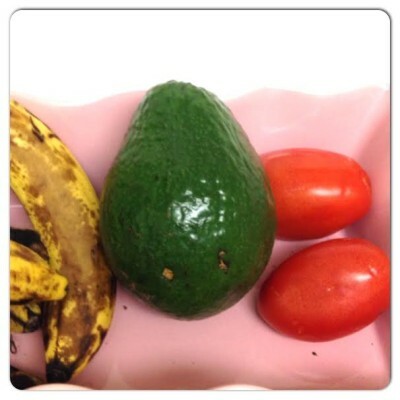 While it’s great to make our kids aware of fruits and vegetables and the importance of a balanced diet, the message really needs to reach us parents since we are the purchasers and the people in charge of bringing the foods into the house. Like life-size avocados. Every child should be exposed to such produce on their kitchen counters. Can you believe the size of this thing? I wonder if this Dr. Ruster muppet would approve of my most favorite snack. 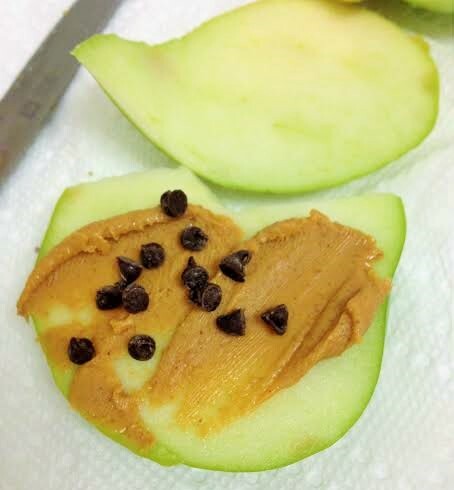 Is there anything more balanced than an apple slice covered with Mighty Maple peanut butter and a sprinkle of chocolate chips? 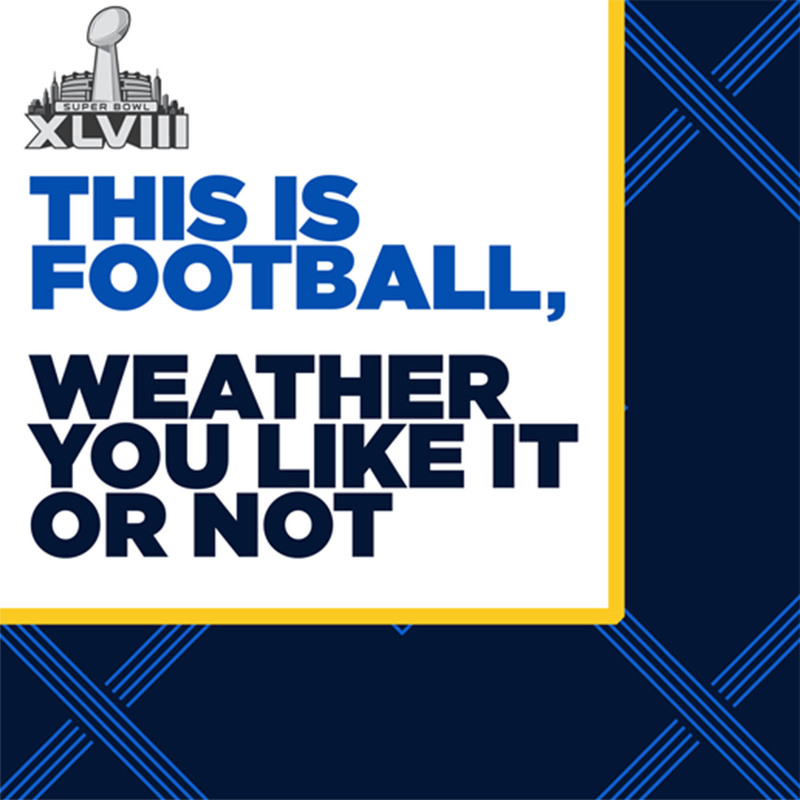 Anyway, good morning to Monday and the start of Super Bowl hoopla around the country, especially here in New York. 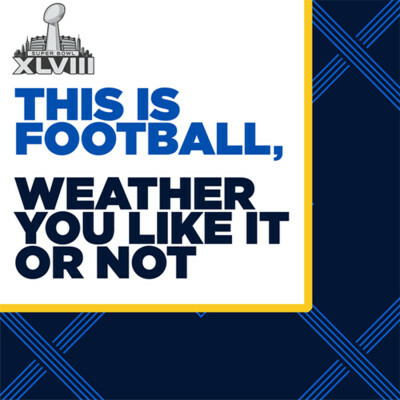 The media is all wrapped up in the Polar Vortex forecast for Sunday when really, they can just ask me my opinion -if I am running inside on a treadmill, it is too cold for football – regardless of precipitation. Quick – Steel-Cut or Old-Fashioned oats? 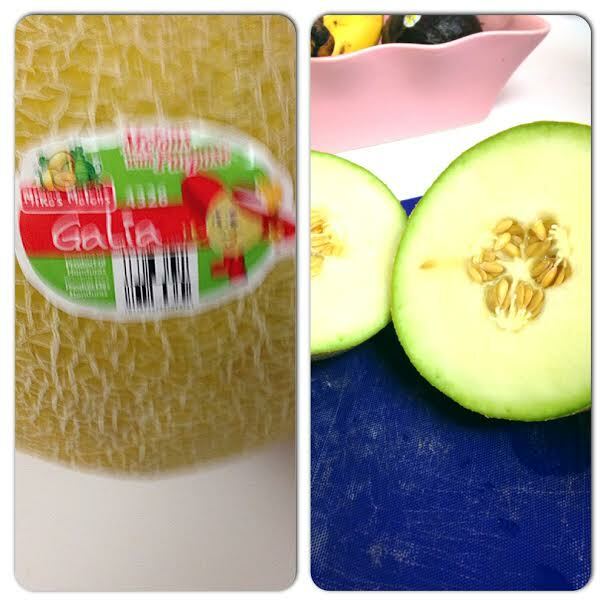 Ever try a Galia melon? Which fruits are currently in your kitchen? Haha I’m 25 and I take things home too. When I worked at bandanas people used to take all the sugars. 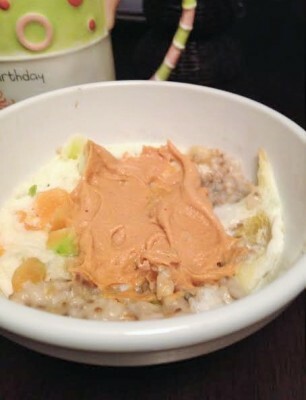 I like regular oats because I’m too lazy to cook them that long. I also think they are a little easier on my digestive system… but that’s probably because I don’t cook them long enough. Definitely take a little time to make the steel cut. If you make a few servings, you will have it for the week and it is so worth it! You can also cut down the cooking time by boiling it in a pot at night, turning it off and then heating it in the morning – still takes a little to cook it but much less time since the oats have soaked and cooked a bit. 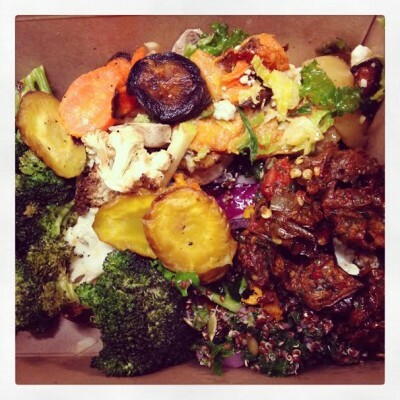 Mmmm I love the whole foods hot bar! I haven’t been to WF in an age, but I need to take a trip back there. Those quinoa chips sound awesome! My son picks the mac and cheese from the food bar when it is there – I can’t resist a little bit of everything, just so good. Ive never thought to combine steel-cut with reg oats! I like both but like you go through phases. I’m gonna try mixing them next time! It’s delish – you can also add a serving of oat bran and combine all three. Really? I didn’t find any of the skincare to have a smell but what you are describing reminds me of Cetaphil! Love Whole Foods! 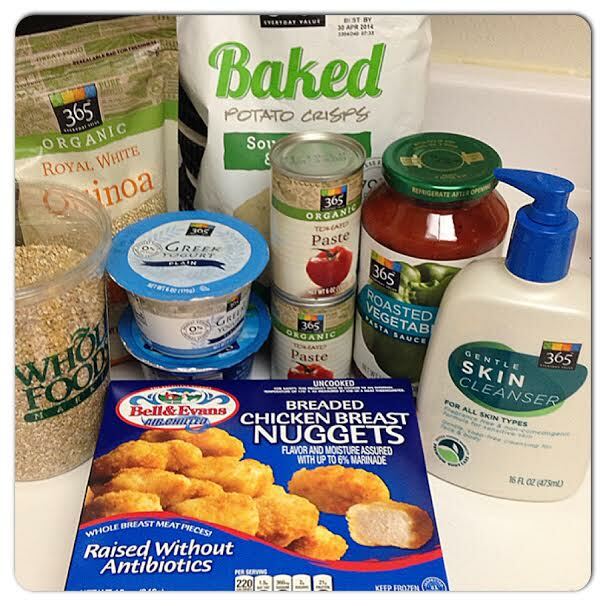 I go there often because my daughter has major food allergies and I can get all her favorites there. I do love their Chicken Tikka Marsala from their hot bar, so good especially with the warm Naan bread.